Jet-Setter Suri Cruise is seen all over town with her Little Giraffe blanket and Giraffe at Home Luxe throw! 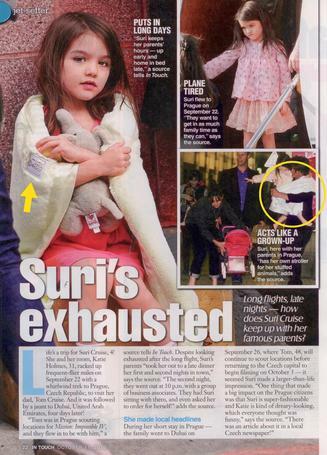 Suri Cruise in InTouch Weekly! Adorable Suri Cruise is wrapped in our sweet yellow chenille blanket, while dad Tom Cruise totes around her Giraffe at Home Luxe throw blanket. This jet-setting tot really knows how to travel in style!